The purpose of this guide is to provide resources for groups that wish to view and discuss the DVD in one session. As you plan your event, remember that the DVD runtime is approximately one hour. Depending on the size of your group and the length of your session, you may want to divide the group into smaller units to facilitate discussion. After viewing the documentary, invite participants to share a phrase, image, or segment of the DVD that resonated with them. If time permits, choose one of the discussion questions below and invite participants to respond to the question. Open the session by reading the following quote from Meinrad Craighead: “Prayer is really sitting in silence, centering the wholeness of your being in whatever situation you find yourself in.” Allow participants to meditate or reflect on the film in silence for 5 minutes. 1. Meinrad’s art is featured throughout the documentary. Which image(s) struck you most deeply and why? 2. Does it change anything for you to think of God as female? 3. If you could ask Meinrad one question, what would it be? As time permits choose one or more of the discussion questions below and invite participants to respond to those questions. Provide writing or art materials and invite participants to spend 10 minutes drawing or writing their thoughts in response to the film. Invite participants to share their responses. 3. What part of Meinrad’s story did you relate to? 4. Did any part of Meinrad’s journey trouble you or make you uncomfortable? 5. If you could ask Meinrad one question, what would it be? 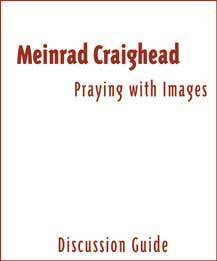 Read the following quote from Meinrad Craighead: “Prayer is really sitting in silence, centering the wholeness of your being in whatever situation you find yourself in.” Allow 10 minutes for participants to meditate or reflect in silence on the question: How do you find wholeness in the situations of your life? Invite participants to share their answers with the larger group. 1. The documentary introduces the idea of alternative images of God, including the image of the divine mother. What images of God did you hold as a child? How have those images changed throughout your lifetime? 3. The themes of feminine relatedness and connectedness recur in the film. How does the community of women in your area support one another? 4. How does the community of women in your area support the idea and/or practice of feminine spirituality? In what kinds of programs, groups, or gatherings would you be interested in participating?